We warmly welcome you to the website of the Private Hospital Tsepeti in Chania Crete and we wish you a pleasant and informative stay. New standards for your medical care in Crete The medical clinic Tsepeti is a modern private hospital, in the city of Chania, with specialized medical departments, multiple operating rooms, diagnostic laboratory facilities, an emergency unit and comfortable patient rooms for your emergency medical treatment or planned medical treatment in Crete. Highly qualified medical specialists In early 2013 a medical specialist team from Germany took on the medical and scientific management of the clinic, which is well-known among the local population. At the same time, under the new management, a complete restructuring of the hospital has been initiated: redesigning the stations, operating rooms and other public areas; modernization of the entire medical equipment as well as a significant expansion of the medical and surgical spectrum. 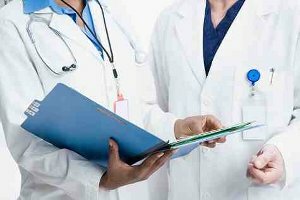 Private Hospital Tsepeti has set up a scientific network of highly qualified, associated physicians from all over the world with permanent or temporary residence on the island of Crete. The International Patient Department of the hospital offers advanced medical services for international patients and visitors to Crete. Historical background of the Private Hospital Tsepeti The hospital was founded in 1970, originally as a maternity hospital, by the famous gynecologist Sofoklis Tsepetis. 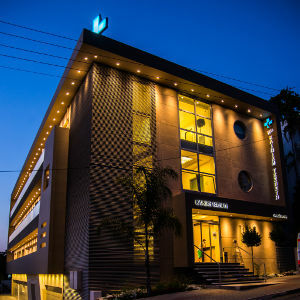 This was the first and, remained so for a long time, the only clinic of its kind, in and around Chania providing its population an innovative concept for health. A considerable number of people now living in Western Crete have seen the light of the world here. In recent years the hospital has begun to reorientate using existing spatial and technical capacities and therefore going beyond merely obstetrics. Other departments have since started and expanded the spectrum. After the changeover of the surgical management, the surgical sector in particular has undergone a significant intensification of a modern medical clinic concept that has been established according to western european and international quality standards. The Private Hospital Tsepeti has established an interdisciplinary doctor on call. 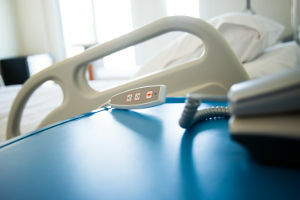 Patient’s treatment by English and German-speaking doctors takes place either on site (home or hotel) or in the emergency department of the hospital depending on the severity of illness. As increasingly more people seek better healthcare services outside their home country, we have developed an International Patient Department (IPD), offering its services for patients and visitors from all over the world. A list of German and English-speaking physicians who have completed their medical education in Germany or abroad, are now practicing in Crete, at the Private Hospital Tsepeti in Chania.